While calling Cova a “startup” is technically accurate — it’s a new company with a new product making a splash in the cannabis space — this may slightly misrepresent the brand. Cova is actually a splinter company from the established enterprise iQmetrix, which offers integrated point-of-sale (POS) software that is used in more than 19,000 locations across a wide variety of industries. 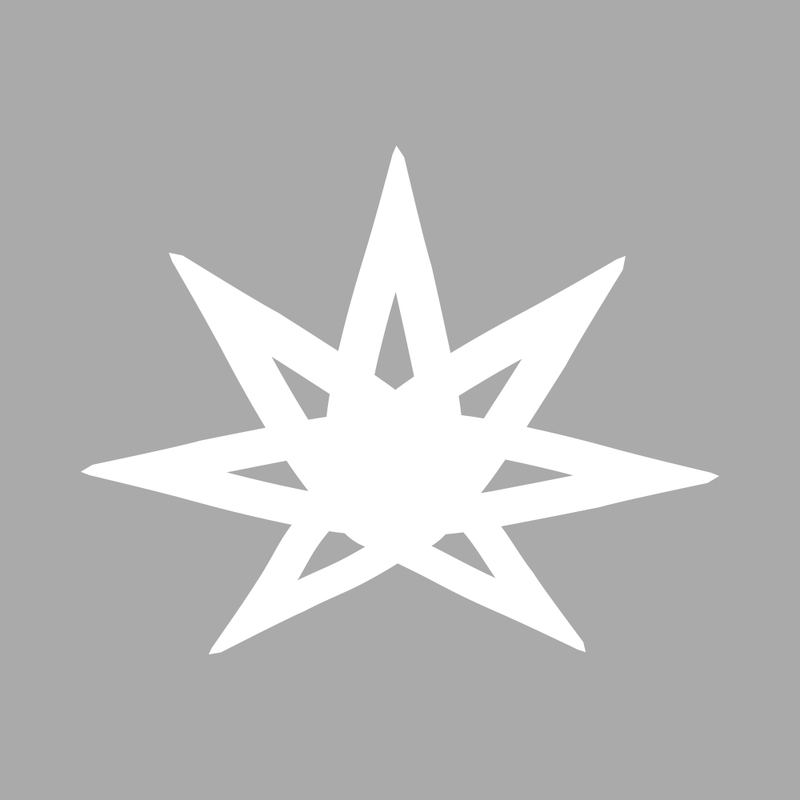 However, because of the industry’s unique regulatory environment — and because startups are typically more maneuverable and responsive to rapid changes than established companies, who are often entrenched in their strategies — the larger enterprise decided to dedicate an entirely new company to the cannabis space with some of their best designers at the helm. In fact, iQmetrix designers eyed the cannabis space for several years, considering and identifying the issues that plague many canna-specific POS providers. 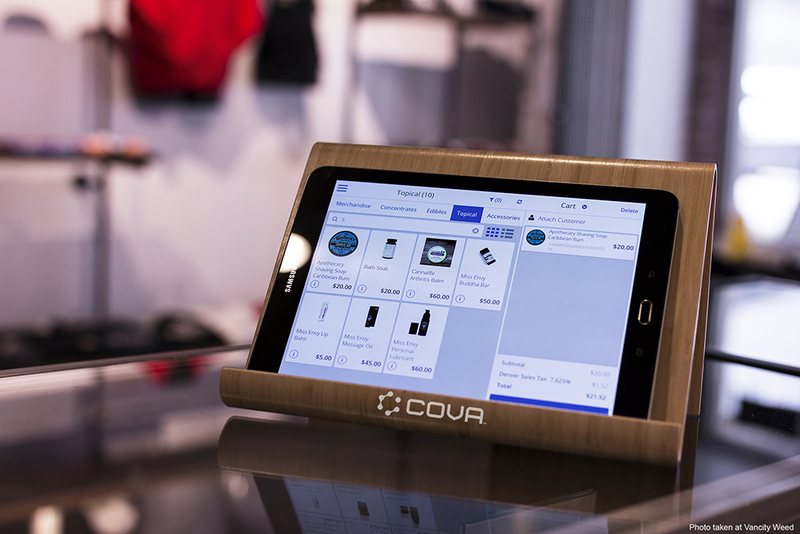 The Cova point-of-sale system displayed on a tablet inside the Vancity Weed dispensary in Vancouver, B.C. According to Steuer, market research unveiled a trend of cannabis operators who were unhappy with their POS software. Some business owners complained that software was either confusing or not user-friendly, others complained about a lack of support services from their current provider, and some have experienced system downtime due to their provider’s security issues — which, in an industry so heavily focused on regulatory compliance, can lead down a slippery slope of non-compliance. “We know that soon dispensaries in California and other states will have to deal with compliance. Our POS is geared to help dispensaries simplify their compliance process and run their store efficiently,” Steuer said. Cova software is designed to limit budtender errors and includes helpful information in the POS itself, so even inexperienced budtenders have all the information they need to provide patients a helpful and informative shopping experience. A dispensary worker and a patient discuss options using the Cova POS display. In addition to new point-of-sale options, Cova also offers touchscreen menu technology and digital signage to help patients and shoppers find and learn about the products they want. With Cova’s tech, dispensaries can even customize their menus individually so that customers who are unfamiliar with cannabis can be given a soft exposure to the world of choices offered in most dispensaries, while experienced consumers can dig a bit deeper into a retailer’s inventory and various cultivars.